Absolutely brilliant. Television and film producer/directors and R20 friends Deondray Gossett and Quincy LeNear were among the 34 gay and straight couples married live last night during the 56th Grammy Awards television broadcast. Queen Latifah officiated and Madonna also performed during the ceremony during Macklemore & Ryan Lewis’ song "Same Love". Macklemore and Lewis won four Grammy Awards including Best New Artist. Gossett and LeNear have been together for 18 years and are also producing partners. 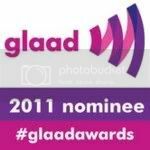 The GLAAD Media Award winning producers are best known for the cable series The DL Chronicles and the Youtube hit The Chadwick Journals. The duo has also produced MTV's Americas Best Dance Crew ABC Family's Dance Off. VIDEO: VINE HOTNESS: "I Am Him"
A lil fun in the locker room if muscle-daddy, Que Dawg types with a big ole', thick ... Omega brand ... is your thing. VIDEO: Ken Like Barbie on Death and "The Other Side of Yes"